Home / Humor / Public Interest / Social Networking / The New Word Called Social Networking! The New Word Called Social Networking! What is this social networking all about? All networking inherently supposed to be social as I never heard of anything called anti-social networking reserved for guys like Dawood, Osama, Hafeez Saeed etc to mingle with each other over cyber space and chit chat about what they had for lunch, where they are planning to have the next bomb blast and all. Looking at the number of these jehadis available at present and their phenomenal growth rate, it could be a brilliant business idea to have one anti-social networking site dedicated to all these nefarious elements. Jokes apart, I never had till date came to terms with all these networking sites and their USPs of bridging the distance barrier over continents through technology. The whole idea of being in touch with someone few thousand miles apart when he or she is sleeping and the other person getting in touch with you when you are fast asleep doesn't just fit in. 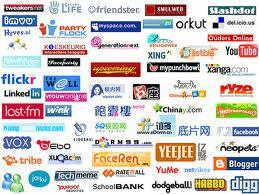 Off late all these Orkut, Facebook and other in this category are becoming a kind of status symbol. Not having an account in either of these is a heinous of crimes and you are bound to be leveled as old fashioned and living in the Kautalya era. Not having a social account is as shameful as not clearing your school term exams, if not more. Guys now do have one or many such accounts long before even they get into High school. Many of these so called social networkers, barely in their teens might not be aware of, who is our prime minister but are capable of writing a whole case study on these networking sites. Being in their early teens and not matured enough to know the implications, all these networking sites often become a source of misery for them. Increasing trend of these so called cyber crimes involving teenage entities definitely is a yardstick to judge how wrongly the whole word 'social' is being misinterpreted. I was not at all surprised someday back when I went through a news of a 15 year old girl being raped by her one of the many never seen social friends and his accomplice on her first blind date. When investigated, it was found the teenager used to spend 6-7 hours on daily basis over these social networking sites. The culprits are more disturbingly another bunch of young social stuff lover in their late teens. How on earth the parents of the little girl allowed her to spend most of her study timings on net? Whom to blame? The girl, the culprits or those technological brains somewhere in silicon valley who have developed these social tools? Impersonating over these sites is a regular phenomena. Guys putting up false profiles of their friends who suddenly turned foes with all possible objectionable images and citing them of engaged in all available unholy activities. The infamous case in Noida, where a girl has to commit suicide because of having one such obnoxious profile dedicated to her by one of her ex-boyfriends. Would you believe, she was all of 14 only. If one top cop of Delhi Police to be believed then anti-socials have started using these social networking sites for prostitution as well as drugs peddling. If I am not wrong either the prostitution or the drugs thing are anywhere close to be termed as being social. The solutions to the mayhem is far fetched as keeping a tap on who is doing what and where is next to impossible on a virtual world like Internet. But on second thought, can't these social networking sites operate just like the mobile service provider function? You can open up as many profiles as possible, but they would only be active once proper whereabouts documents are furnished. Age could be one of the many criteria to have your profile up there. Many would say the companies running these sites might not appreciate these ideas but so was the case, all mobile service providers cried foul when TRAI initially imposed these Identity proof thing for mobile telephony. End of the day the rule was imposed ruthlessly looking at the national security and the service providers are advised, either to take it or leave the business. If not for the national security but for the national interest can't these rules be imposed against these networking sites? with dotted line : "Either take it or leave it". Now-a-days whenever I see teens around malls and market places I over hear them gossiping about how much they have scraped the day before. Who are all send them friends invitation, how many scraps they received or bitching about any common friend they have. The founding fathers of Internet might not fancy their invention being used solely for this purpose, worse so for bitching. I am never a strong believer of this social thing over net. There are few gaps which best be left as it is. Bridge is definitely not possible to fill in all possible gaps. Hang on, I am not against knowing someone. But there is a difference between just knowing someone and befriending a complete stranger to an extent of going out for a blind date. More than the boys I have noticed girls taking these social accounts more as a status symbol and medium of bitching and of course the ever existent show off angle to it. As long as some concrete steps are not taken these Noida episodes are going to hunt back us again and again. Age criteria should be implemented at the earliest. I do feel there is a certain age threshold before you could or should decide how social you want to be. As the government have decided a minimum age of getting married and so as casting your vote, to be social should have a tap. Let the world call us anti-social, but as long as our future generation is secured we should be happy being so called anti-social and be done away with it. Give it a thought.